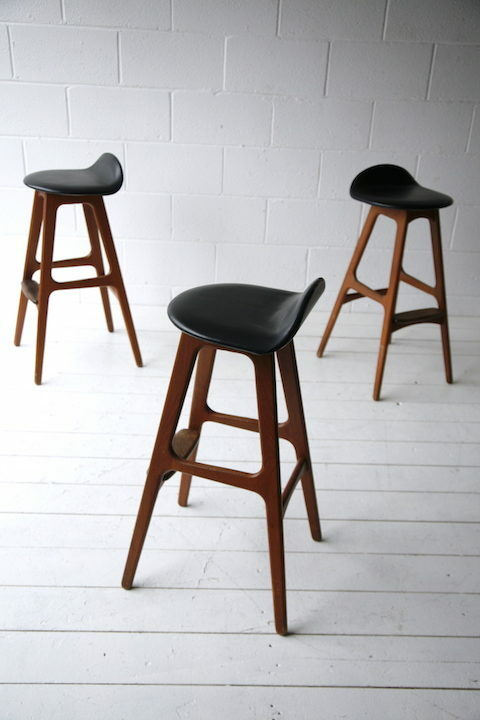 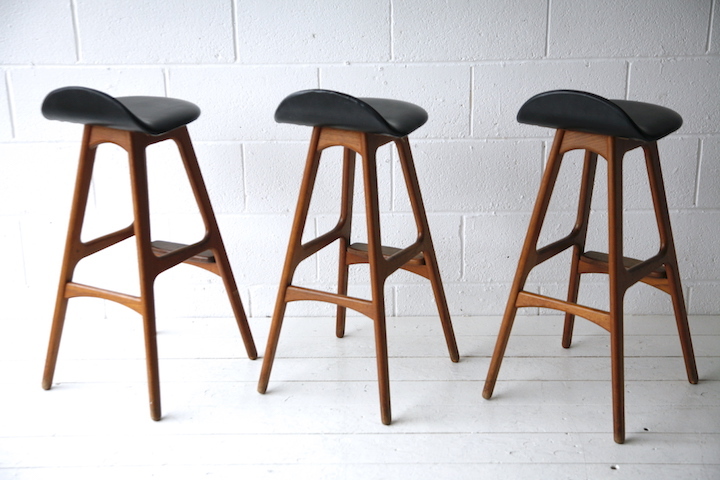 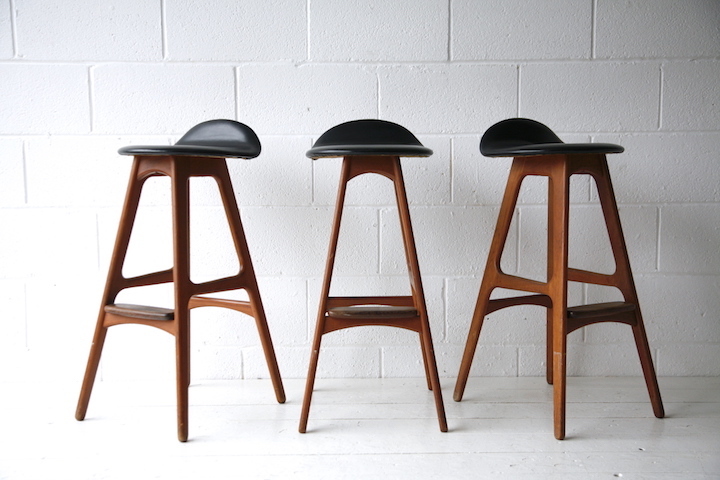 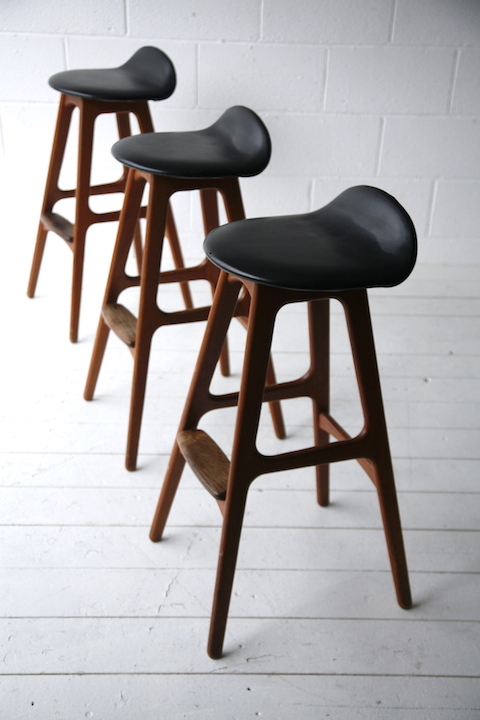 A set of 3 'OD61' barstools by Erik Buch for Oddense Denmark. 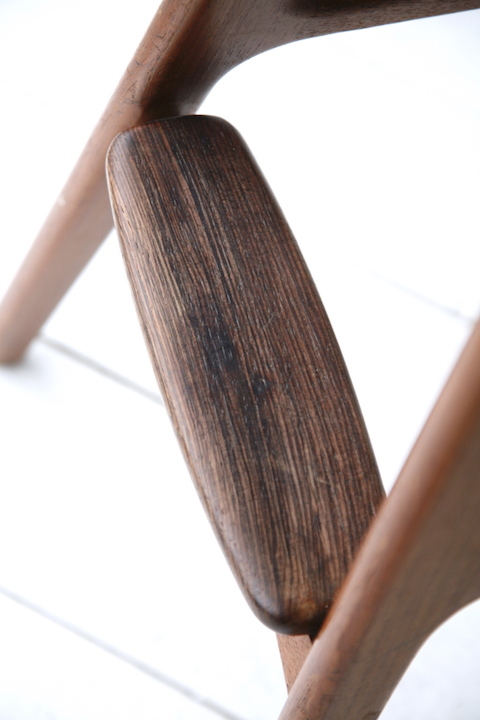 A solid teak frame with solid rosewood footrest and black vinyl seat. 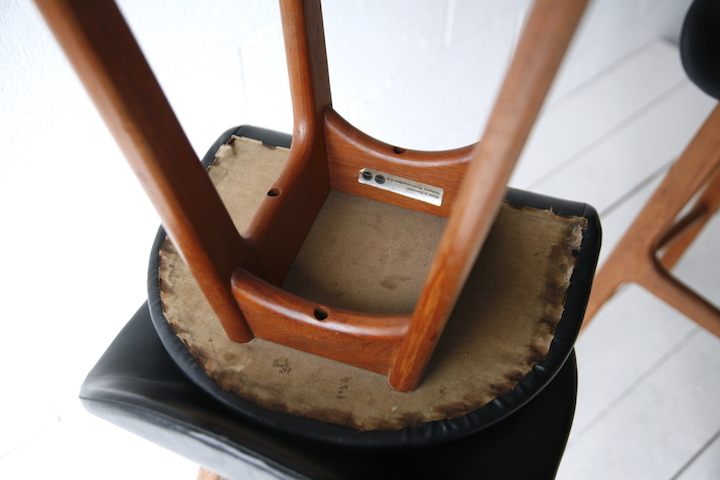 In good vintage condition with some marks and signs of use on the vinyl seats and wooden frame.